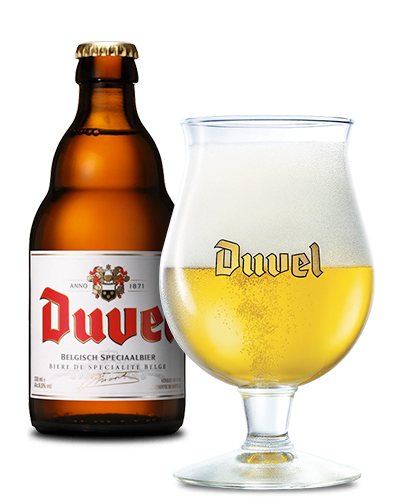 The Belgian beer brewery Duvel Moortgat, that’s behind popular beers such as Duvel, Chouffe, Liefmans and Maredsous has closed a deal with a beer importer in Indonesia - world’s most populous muslim country. Until recently the only places you could find Belgian Beers in Indonesia was in the hipper touristy areas. But at the end of last year the first shipping container filled with Duvel and Liefmans arrived in Jakarta. Eighty percent of Indonesians are muslim and the religion there is practised in a modern and moderate way, which is obvious from the fact that beer and other alcoholic beverages are relatively easy to find. Indonesia even has its own beer - Bintang, which belongs to the Heineken brewery and can be found all over places like Bali. A spokesperson for Duvel Moortgat said that in the long term, Indonesia is an interesting market for their products. Jakarta has prestigious hotels, restaurants and cafés and there are many shops selling expensive imported wines. Although the beer market hasn’t totally matured yet the brewery won’t be expecting huge sales volumes just yet. But the market seems to be growing. Selling alcohol in Indonesia isn’t easy however. A special license is required and only a few companies have received one. A Flemish export agency helped them conduct market research and Indonesian candidate importers were invited to the brewery here in Belgium. After 2 years of planning and discussion the first container of Duvel was finally delivered. The 10 million tourists that visit Indonesia every year will certainly be a significant part of the market but Duvel Moortgat is also aiming to market to a group of 60 million Indonesians that form the constantly growing middle class of the country. This part of the population has developed a taste for imported luxury products. Nobody knows if there is any Westvleteren for sale in Indonesia but the opportunity certainly exists to order Westvleteren online. The total output of the Duvel Moortgat brewery in 2014 was 1,2 million hectoliters of which more than half was destined for export.